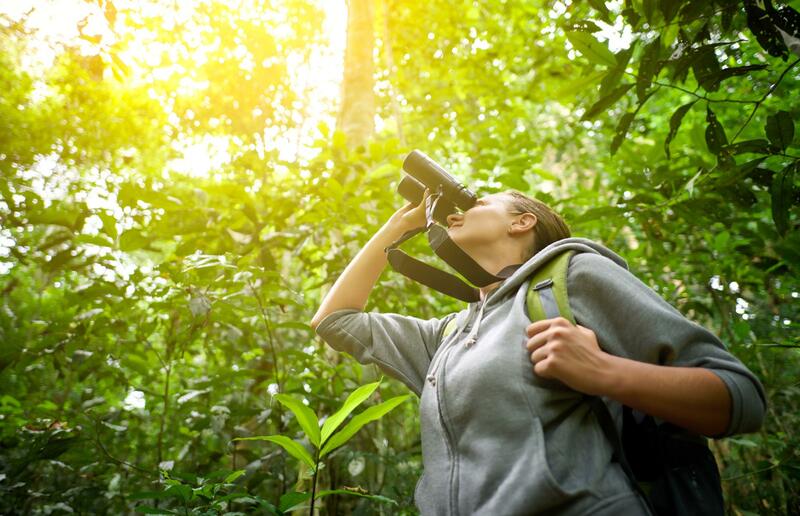 Bird watching can be one of the most enjoyable hobbies for anyone. To be able to see and know about birds of different shapes, sizes and colors is a great experience for all the bird lovers. However, one has to follow certain rules or techniques for a better bird watching experience. For instance, you cannot make a lot of noise while you are out there bird watching, as that would startle the birds and they would run away. You would also have to maintain a certain distance from them and not move all of a sudden. If you wear very brightly colored clothes while you are out for bird watching, you will naturally stand out and the birds will notice your movements. So, in order to avoid getting noticed, wear clothes that match the environment, as in wear clothes that are dark and neutral and that kind of go with the background. Many birds, anyway, do not have very good color vision and if you do this, you will be able to easily follow them without catching their attention.